The sharing economy (also known as “peer-to-peer economy” or “collaborative consumption”) is the concept of sharing resources that are otherwise go to waste. Technology plays a part in helping the sharing economy to expand, and making the assets cheaper, more accessible than ever. In today's article, we'll focus on the hospitality industry and how much impact the sharing economy, particularly Airbnb, is having on the industry as well as the consumers. Founded in 2008, Airbnb is a platform that allows users to list and book lodging accommodations around the world. Similar to Uber, the guests can contact the hosts anytime if they have any concern, and leave reviews after their stay. As of this year, Airbnb has listings in over 192 countries and more than 4 million users worldwide. Despite the steady growth, major hotel chains such as Marriott, Four Seasons and Hilton argue that their revenues and occupancy rates have not been affected by the increasing fame of Airbnb. One thing is certain: Airbnb is revolutionising the way hotels operate by keeping room rates in check and offering guests/ travellers additional lodging options right at the heart of travelling hot spots during peak seasons. Airbnb's customers (the guests and the hosts) gain trust based on the reviews left by previous guests/ hosts. If they have been extra hospitable, a highly rated individual can earn the title of "superhost/ superguest" which essentially allows them to unlock many perks. This approach is not new! At the rate digital technology is advancing today, even without a platform like Airbnb, travellers would still be able to leave a review online somewhere else (Yelp, Expedia, Tripadvisor to name a few) which can ultimately affect other travellers' decisions when looking for accommodations. Along with a variety of lodgings for guests to choose from and for hosts to rent out, Airbnb also introduces different types of loyalty programs to expand its database and to attract more customers. At Airbnb, the hosts have complete control over the room rates as well as the time period the spaces become available for rent. This can particularly be a disadvantage for lower-end hotels or hotels in cities that have limited capacity. During peak periods, Airbnb can drive down both the occupancy rates and room prices even though the hotels are already fully booked. What’s more, some hosts also charge service fees in addition to a cleaning fee. These two fees combined with the geographical factor (the rent and cost of living in megacities are crazy expensive) can sometimes make an Airbnb not that much cheaper than a hotel room. Although major hotel chains deny the presence of Airbnb making any dent to their total revenues, the company is making headlines when they acquired Luxury Retreats, a Canadian-based luxury platform, in addition to the introduction of Airbnb Plus, homes that are verified for quality and owned by the most exceptional hosts, signaling their attempt to step into the higher-end markets with more well-rounded, specifically curated services. How does the hospitality industry react? Many have argued that as Airbnb operates in a manner that similar to hotels, the company should be subjected to hotel occupancy taxes and regulations. Having said that, each country has a different set of regulations, taxes, and property laws, which sparks concern to not only the public but also the hosts at Airbnb. For example, in some states in the US, it is illegal to rent out a residential space for less than 30 days unless the hosts are present at the same time as the guests. 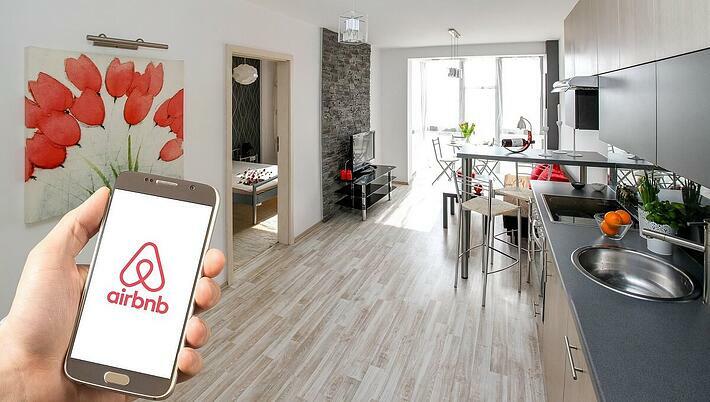 In 2016, the American Hotel and Lodging Association backed efforts by the Federal Trade Commission and the state of New York investigated the impact Airbnb has on local housing prices. The results stated that a portion of Airbnb hosts is, in reality, commercial operators that are trying to operate illegally. Various other unregulated Airbnbs operating in the middle of residential areas has interfered with the usual peaceful atmosphere, jeopardising both house pricing and the neighbourhood safety. The one problem the hospitality industry has to face is the fixed investment costs. Hotels do not have the luxury of just shutting down their properties during slow periods and re-open when the demands arise. Furthermore, there is also the challenge of maintaining a competitive price when Airbnb is always available to drive prices down. As a result, hotels need to up their game. Home-sharing platforms like Airbnb can only getting more popular over time as more users realise the benefits they offer. Just like Airbnb starts to introduce more unique homes, experience packages, hotels also look for more creative ways to optimise their revenue by transforming their common spaces to serve a variety of functions, not just for lodging. High-end hotels should not take Airbnb lightly. As the sharing economy continues to develop upward, Airbnb may soon disrupt high-end hotel revenues the same way Uber did with the traditional taxi services.